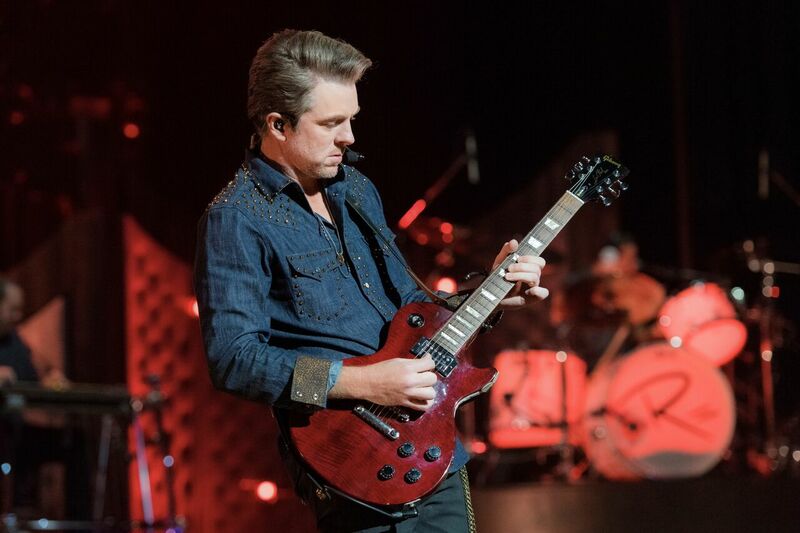 Joe Don Rooney is the lead guitarist for vocal superstar group Racal Flatts. The trio recently released their new single "Back To Us," the harmony-led title track taken from their 10th studio album (Big Machine Records) and follows back-to-back chart toppers "Yours If You Want It" and "I Like The Sound Of That." The song was heralded by Rolling Stone Country as the "centerpiece of the LP" upon release. Known as one of the hottest-selling touring acts in any genre with over 10 million tickets sold and as the best-selling country vocal group of the past decade, Rascal Flatts has sold over 23.4 million albums, over 34.3 million digital downloads worldwide, as well as earning over 40 trophies from the ACA, ACM, AMA, CMA, People's Choice and more, also making them the most awarded country group of the past decade. For more information, visit rascalflatts.com.